The 6-1 hammering of Red Star at the Parc des Princes on Wednesday was already the second time this term that all of Di Maria, Neymar, Edinson Cavani and Kylian Mbappe have scored in a game. PARIS: Neymar may have grabbed the headlines with a hat-trick as Paris Saint-Germain thrashed Red Star Belgrade in their midweek Champions League match, but Angel Di Maria is proving vital to the French giants' strong start to the season. That only happened twice in the entirety of last season, when the Argentinian was often overlooked by former coach Unai Emery for the biggest matches. 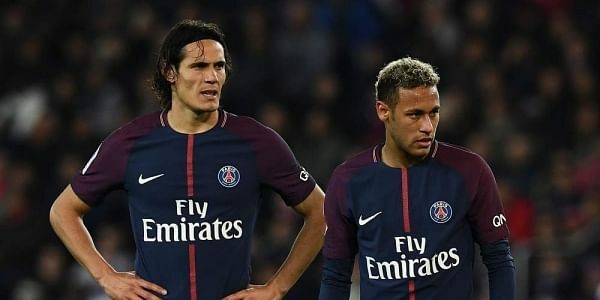 The attacking trio dubbed 'MCN' last year has become a four-pronged front line under new boss Thomas Tuchel, with Di Maria starting both of PSG's Champions League games so far, having failed to even complete 90 minutes once in the competition in 2017/18. "It's a gift to work with a player like Angel, he's a great professional, who works hard in training, can play in multiple positions, at a top level and is totally reliable," gushed Tuchel. The 30-year-old Di Maria has scored six times in 11 appearances so far this season and is full of praise for German Tuchel. "He made me understand that he was counting on me," Di Maria told TF1. "Tuchel brings something new, he's a more aggressive coach who likes the team to play with high pressing. "He came here to win the Champions League, it can be a great year for us." With their Group C campaign in Europe back on track after an opening 3-2 defeat at Liverpool, PSG host Lyon as they return to domestic matters on Sunday. The club's priorities clearly lie with the Champions League as they bid to reach the final for the first time despite the heavy Qatari investment, but after eight straight wins, a sixth Ligue 1 title in seven years already looks a formality. Lyon were expected to be their closest challengers this season, but are 10 points off the pace, while last year's runners-up Monaco are languishing in the relegation play-off place. Bruno Genesio's Lyon claimed a stunning 2-1 win over PSG in January, but have lost on their last seven visits to the capital. Monaco's dreadful season took another turn for the worse in midweek as they slipped to a one-sided 3-0 Champions League loss at Borussia Dortmund. Leonardo Jardim's outfit are now a tame imitation of the one that claimed the French title in 2017, and have managed only six points from their first eight league games. Defeat by fellow strugglers Rennes at the Stade Louis II on Sunday could see them fall into the bottom two, with the prospect of a season spent trying to get out of trouble looming. Lille had to do just that last term to escape the drop, but have started well this time around and host fourth-placed Saint-Etienne on Saturday looking to strengthen their grip on second spot, eight points behind PSG. The 21-year-old Lyon midfielder was handed his first international call-up by France coach Didier Deschamps on Thursday after backing up his strong form from last season in the early part of the current campaign. Ndombele has never scored in Ligue 1, though, and Sunday's match at PSG would be the perfect time to set that record straight. "He has a very good shot and should be scoring between six and 10 goals a season, given the position he's playing in and his technical skill," said Deschamps.